Welcome to Ann’s Entitled Life! A lifestyle blog. My name is Ann. I am married to a wonderful man, Hubby, and I also have a 30-year-old son, Sonny-boy, from a prior marriage. I am anxiously awaiting grandchildren… Sonny-boy tells me it is going to be a very long wait. We live in New York State, and are currently on the hunt for a new home with a view of the Toronto skyline (very pretty!) If we cannot find that “perfect” property on the Lake Ontario shoreline, I am willing to “settle” for that perfect property on an escarpment. Next door to a winery. With a view of Toronto. Because those types of properties are sooooo abundant. Hubby and I had a condo in the St Augustine area in Florida for a number of years (our second residence) but recently sold the place. We are now talking about where to winter in the future. We do like to snowbird! 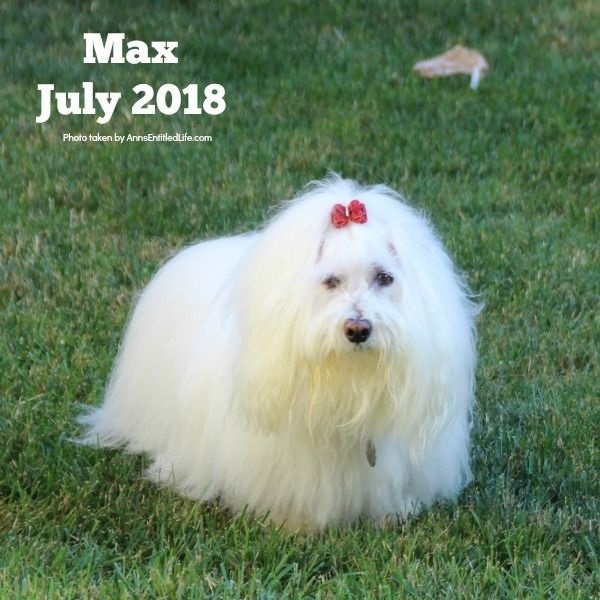 For many years I wrote about our spunky little dog named Max who suffered from Granulomatous meningoencephalomyelitis (GME). Max passed away at the beginning of November 2018, but his photo can still be found in the blog header. You can read about the dreadful disease he suffered from by clicking here (at the bottom of the post are all the GME related links). 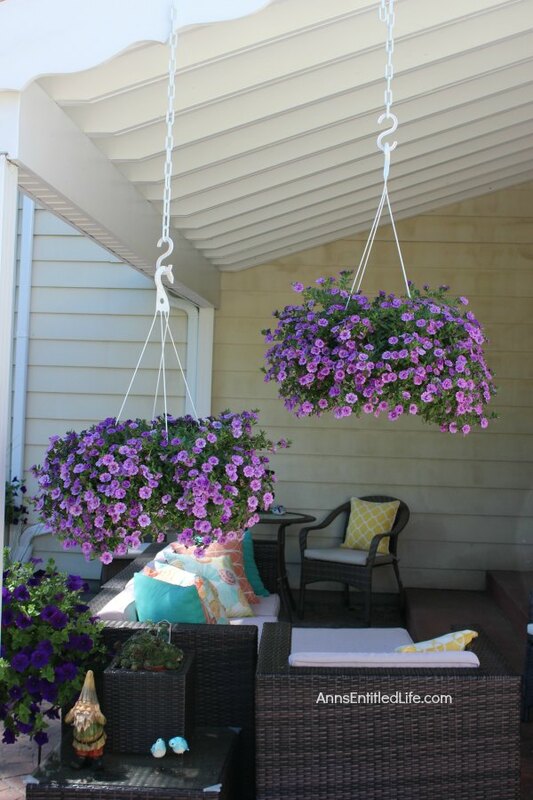 In our spare time, we garden, cook and bake, we travel, we enjoy a little vino or the occasional cocktail. I say spare time because even though Hubby and I are technically retired (we were fortunate enough to have the opportunity to retire from a day-to-day job/career in our 40s), our life is so very full! I sometimes wonder when it was we had the time to work. 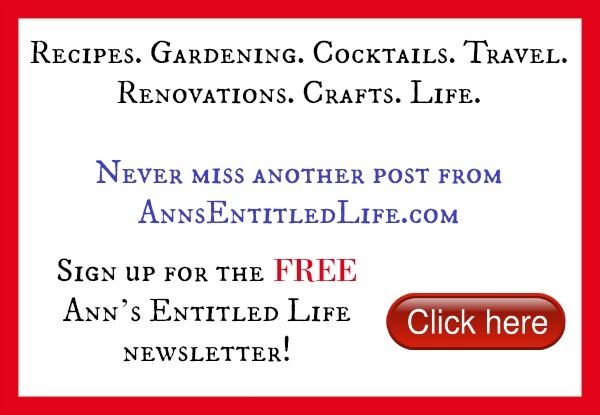 Ann’s Entitled Life is my second blog creation. I have been blogging since 2008. This blog is a for-profit venture (something has to pay for hosting, VAs, etc), so while Hubby and I are technically retired (as I mentioned before), this blog is my job. How do I square that? To me, retirement means the freedom to do as you want day-to-day without having to work. Not depending on a job for a livelihood – in other words, labor producing work is for enjoyment or specific purpose, and not simply paycheck focused. What Does Retirement Mean To You? I can always be reached through my contact me page or by emailing me directly!